A Labour MP is hosting a debate in the Commons this evening to draw attention to growing confusion around local authorities’ responsibilities towards children. The debate, which has been brought by Kate Osamor MP, will explore the issues around access to children’s services for families under the “no recourse to public funds” (NRPF) condition. Families who fall within the NRPF condition are usually migrants in the UK who are unable to access public funds, which means that they cannot access standard benefits and housing assistance. Osamor says the confusion is causing extreme suffering in the form of acute poverty along with a high risk of homelessness and exploitation for thousands of children. 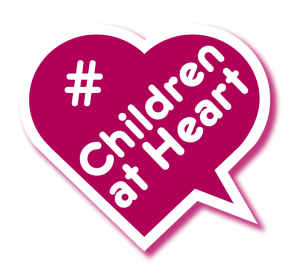 Although children in the UK are covered by section 17 of the Children Act 1989, which places a duty on local authorities to promote the welfare of all children in need in their local area, the condition is causing confusion among parents and councils. In some instances, Politics Home reports that councils are wilfully refusing these families the support they are entitled to. Osamor will use this evening’s debate to call on councils to adopt Project 17’s Children’s Charter, which commits local authorities to upholding the rights of children living in families with no recourse to public funds. The debate will take place in the Commons Main Chamber at around 7pm and is an adjournment debate, which means that no formal question needs to be asked before it can be instated. Adjournment debates take place daily at the end of each day’s sitting in the Commons and usually run for 30 minutes.